A group of committed individuals from across Canada met in Toronto to map out a new organization that through timely research and education would assist career development professionals in their day-to-day work. 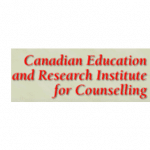 Called the Canadian Education and Research Institute for Counselling (CERIC), the organization would be supported financially by The Counselling Foundation of Canada. 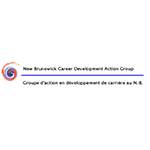 CERIC is to become the funding body for the ContactPoint and OrientAction online communities, The Canadian Journal of Career Development and a national conference. A non-partisan umbrella under which all segments of career counselling can flourish in Canada, CERIC will take on the stewardship of a growing and changing field. CERIC is launched. It is envisioned as an organization that will “facilitate a common cause in the career counselling sectors: to further the skills of career professionals and the services they offered in order to help people live more productive lives.” It sets out to attract career professionals who are innovative thinkers and inspire them to be part of a major initiative that would provide leadership in career development in Canada, in an open and inclusive way – non-profit, national and multi-sector. 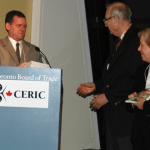 CERIC’s newly formed Board of Directors consists of 11 members, including Rob Shea as Founding President, as well as Donald Lawson, Elizabeth Hugessen, Barb Mason, Marilyn Van Norman, Jeanette Hung, Gary Agnew, Sherry Knight, Nancy Dube, Linda Alexander and André Gosselin as Directors. A Research Committee, and Learning and Professional Development Committee are established. 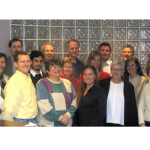 Jean Faulds is appointed as Executive Officer and Riz Ibrahim would become the General Manager, effective January 2005. CERIC receives its charitable status from the Canada Revenue Agency. Its charitable objects centre around: advancing knowledge and education in the field of career counselling through conferences, seminars and courses; educating and increasing the public’s understanding of career counselling; and supporting career counselling research. 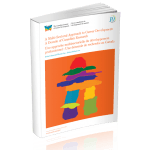 Through a partnership with Youth Employment Service (YES), Toronto, CERIC publishes its first book Good WORK! 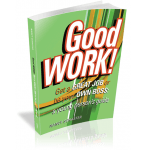 Get a GREAT JOB or be your OWN BOSS: a young person’s guide, authored by Nancy Schaefer. A Facilitator’s Guide and corresponding training is offered in March 2009 in partnership with YES and OAYEC (now First Work). 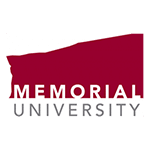 A Memorandum of Understanding is signed between Rob Shea, Memorial University and CERIC to co-publish The Canadian Journal of Career Development, a free open-access, peer-reviewed journal of multi-sectoral career-related academic research and best practices from Canada and around the world. 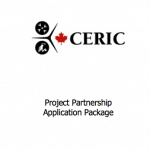 Partnership Project Application Packages for Research and Learning & Professional Development are approved by the CERIC Board. CERIC would begin to accept proposals from both individuals and organizations to develop innovative resources in career counselling and career development. An enabler of worthy research and learning projects, CERIC’s role will ensure these projects are initiated in a spirit of collaboration and shared widely for the benefit of the career professional community it stewards. The CERIC Board approves its first research project, “The Advancement of Career Education in Canada.” The focus of this project is an in-depth exploration of career counsellor education programs in Canada, in an aim to broaden the curriculum and articulate educational paths for those who want to become career counsellors as well as those working in the field who want to continue their education. Ipsos Reid conducts a survey of 1,000 Canadians on behalf of CERIC to provide insights into Canadians’ views of how career counselling fits into their lives. This begins a program to run surveys of Canadians perceptions of career counselling, finally making Canadian data available. Starting with The Globe and Mail, newspapers nationally publish stories on the survey that profile the role of career planning. CERIC’s first official event, a Networking and Information Reception at the Toronto Board of Trade, is held. The event introduces career practitioners and other stakeholders to CERIC and highlights current initiatives. Through CERIC’s Research Project, “The Advancement of Career Counsellor Education in Canada,” career counsellor educators convene in Montreal for a Think Tank. 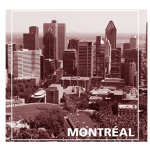 The “Montreal Think Tank” brings together anglophone and francophone career educators from across Canada for the first time ever examining among other things, commonalities and differences across the various career development-related certificate and degree programs at colleges and universities. 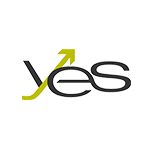 CERIC holds a regional Montreal Forum in partnership with YES Montreal and the Employment Services Roundtable network – Chance, Challenge and Challenge: Reconstructing Value in Career Services. Another regional Forum, in Vancouver, takes place on November 20. 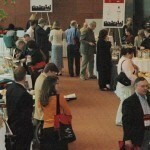 The events attract between 200 and 300 delegates each. CERIC holds the premiere screening for “A Difference of Abilities: Recruiting, Hiring and Promoting People with Disabilities” video. The video examines the daily challenges facing people with disabilities and why jobseekers and employers experience difficulty connecting and how that can change. A Difference of Abilities PSAs begin to run the following year on the TTC, Weather Network and other stations across Canada. 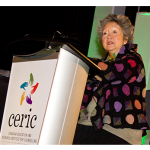 CERIC holds the first Cannexus National Career Development Conference at the Hilton Markham Suites in Toronto. There are 5 keynotes (including Kim Peek, the inspiration for Rain Man), over 90 sessions and a dozen exhibitors. Almost 400 people attend, including delegates from as far away as Singapore and Argentina. “CERIC News” spots, showcasing innovative programs and individuals, are launched at the conference. 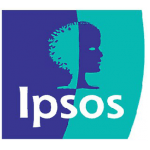 CERIC commissions a second Ipsos Reid survey of Canadians. The survey of 1,174 adults found that 71% of Canadians, given the chance to start over, would try to get more professional career planning. 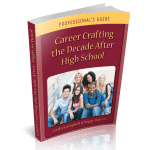 The Decade After High School: A Professional’s Guide is made available for download as an ebook. This publication, authored by Cathy Campbell and Michael Ungar, is a product of the “Stories of Transition: Exploring the Antecedents of Career and Educational Choices among Young Adults” project – a CERIC Partnership Project in conjunction with Dalhousie University. 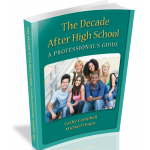 The Decade After High School: A Parent’s Guide is made available the following month. 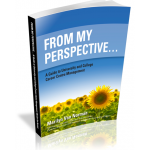 From My Perspective: A Guide to Career/Employment Centre Management and From My Perspective: A Guide to University and College Career Centre Management by Marilyn Van Norman are published by CERIC. With a circle of radiating hands that illustrates collective effort and a star that represents achievement, new branding for CERIC is unveiled at Cannexus in Toronto. 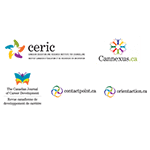 CERIC’s strategic programs (Cannexus, ContactPoint/OrientAction and The Canadian Journal of Career Development) also receive new branding that symbolize knowledge, exchange and growth, respectively. The Good Work! book is translated into French. 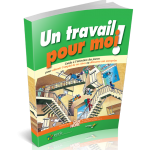 Un travail pour moi is made available through Septembre Éditeur. 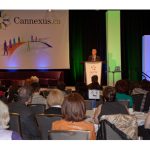 Cannexus is held in its new location at The Westin Ottawa for the first time (after stops in Toronto and Montreal). The conference continues to grow and is a great success with more than 600 attendees and 37 exhibitors. Mark Savickas and Denise Bissonette are among the keynotes. 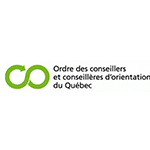 Its first French research project, CERIC funds an “Assessment Guide for Career and Guidance Counselling” with the Ordre des conseillers et conseillères d’orientation du Québec (OCCOQ). The guide will be translated into English. It helps career and guidance counsellors to better understand and apply assessment within their practices. 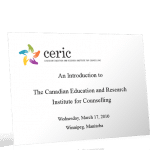 CERIC hosts its first “Roadshow” in Winnipeg. Roadshows are a series of outreach and networking events with local career development professionals. Meetings are also held with government Labour Market and Education ministers. Roadshows take place throughout the year in Charlottetown, Halifax, Vancouver, Regina, Saskatoon and Whitehorse. 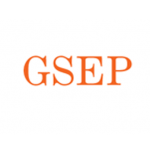 The Graduate Student Engagement Program (GSEP) is initiated. 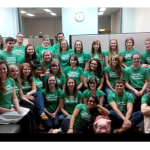 Through GSEP, graduate students are introduced to CERIC and its programs and invited to compete for the GSEP Award, which provides funding to attend and present at Cannexus. 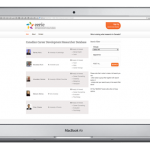 ContactPoint merges with CERIC. For a number of years, ContactPoint has operated as a program of CERIC and the relationship is now formalized. ContactPoint continues as the Canadian online community program of CERIC dedicated to providing multi-sectoral career development practitioners with resources, learning and networking. 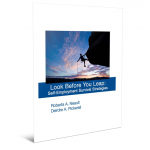 “The Look Before You Leap: Self-Employment Survival Strategies” project, a partnership between CERIC and Life Strategies Ltd., launches. It fills a gap to support career practitioners considering self-employment, a growing trend in the field. 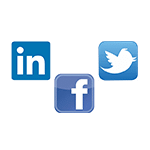 Joining the social networking age, CERIC establishes it first social media presence with accounts on Twitter, LinkedIn and Facebook. CERIC releases the results of another online survey of Canadians it commissioned, undertaken by Environics Research Group. The survey focuses on topics that pertain to the Canadian workplace and how Canadians approach their own career development, including the roles of employers, parents and career professionals. 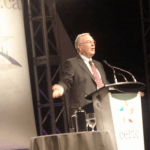 The Right Honourable Paul Martin, the former Prime Minister of Canada, delivers a keynote at Cannexus, where he provocatively challenges Canada’s career development professionals to make themselves and their valuable work better known. CERIC funds a new research project to identify the skills that workers need to succeed in Canada’s budding green economy. 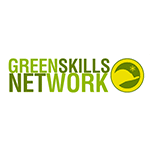 The Green Skills project, a partnership between CERIC and First Work, will inform career counsellors about entry-level jobs in the renewable energy and conservation sectors. 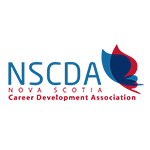 A CERIC-funded research project with the Nova Scotia Career Development Association charts the growing role of career practitioners in supporting people with mental health challenges who want to move into the workforce. CERIC hosts its first webinars co-presented with Positive Matters and Accentuate Consulting. The topic is Positive Psychology, the scientific study of the strengths and virtues that enable individuals and communities to thrive. As part of the Ashoka Changemakers Initiative “Inspiring Approaches to First Nations, Métis and Inuit Learning,” CERIC co-sponsors awards for the top entries relating to career education and workplace learning in Canada. The initiative supports improved outcomes for Aboriginal learners. A CERIC-supported research project will help to determine the factors that affect the development of career interests among adolescents and young adults, especially those deemed to be “at-risk.” Research is being undertaken by University of Manitoba, University of Winnipeg and Career Trek Inc. In partnership with CERIC, “Career Centre Evaluation: A Practitioner Guide” is made available. 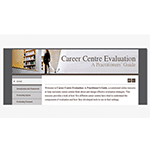 It is a customized online resource to help university career centres think about and design effective evaluation strategies. Five different university career centres are involved in developing the project. 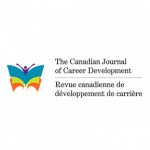 The Canadian Journal of Career Development celebrates its 10th anniversary with the launch of a book entitled A Multi-Sectoral Approach to Career Development: A Decade of Canadian Research. The book is a compilation of some of the most thought-provoking and ground-breaking articles to appear in CJCD over the last 10 years. 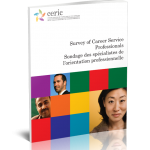 Providing a rare snapshot of the career services community in Canada, findings from CERIC’s survey of Career Service Professionals are released. A total of 1,013 respondents completed the survey in November 2011, representing a broad cross-section of the field. The survey results explore research and education issues as well as career competency and mobility among people employed in career development. 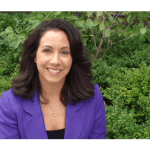 CERIC partners with Roxanne Sawatzky, President and Founder of Empowering Change, on a series of webinars around Working Effectively with Ambivalent Clients: Motivational Interviewing & Stages of Change. 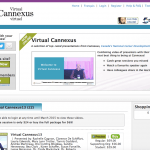 Virtual Cannexus goes live, featuring 18 recorded presentations from that year’s Cannexus conference. 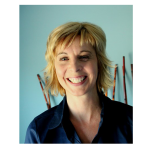 Select sessions are recorded and are offered for sale as online video and PowerPoint multimedia for those who couldn’t attend, creating accessible and affordable professional development. In a first cross-border project for CERIC, an international team under the leadership of Dr Norman Amundson (University of British Columbia) and Dr Spencer Niles (Penn State University) undertakes research on the importance of “hope” for the career exploration and decision-making of entry-level college and university students. CERIC works with the Newfoundland and Labrador Association of Career Practitioners to host its first Mini-Forum in St John’s. 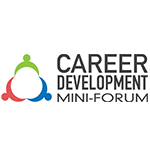 With Mini-Forums, CERIC partners with select organizations to present local professional development events. 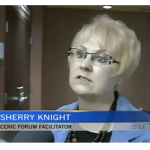 Future Mini-Forums are held in Toronto with the Association of Career Professionals International Toronto Chapter, in Winnipeg with Career Trek, and in Kelowna with the British Columbia Career Development Association. To extend and enrich the Cannexus conference experience, CERIC makes available an innovative online community (Pathable) for participants to connect and collaborate before, during and after the event itself. 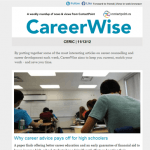 The first CareerWise is distributed. 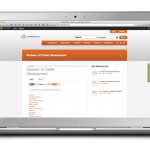 CareerWise, a content curation initiative, brings together the most interesting career development information on the web each week. A French-language version, En Bref, launches in December. CERIC initiates the “Career Development Matters – Ask me why” awareness campaign with the sale of t-shirts and an online discussion about how career development professionals are making a difference to Canadians across this country. The new Careering magazine is published for the first time. Distributed in both print and online formats (with both English and French content) Careering is a resource by and for career development professionals in Canada. The magazine replaces the ContactPoint and OrientAction Bulletins. 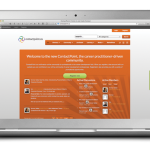 After debuting as web pioneers, the ContactPoint and OrientAction websites launch in their latest iteration. As virtual communities, they continue to be dedicated to the professional development needs of career practitioners but the redesigned sites now harnesses the power of social media, offering an updated mobile-friendly design and adding fresh content on the most current topics. A project supported by CERIC will develop a series of train-the-trainer webinars on Legitimate Opportunities to Work from Home. The training educates career professionals and provides them the tools so that they can offer workshops to their clients. 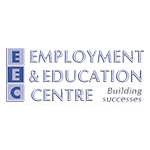 The project is undertaken in partnership with the Employment and Education Centre (EEC) in Brockville, ON. 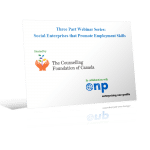 In partnership with The Counselling Foundation of Canada and Enterprising Non-Profits (enp), CERIC hosts a free webinar series for organizations interested in learning more about social enterprises that promote employment skills. 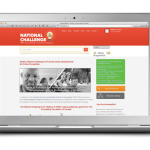 CERIC launches the National Challenge to Promote Career Development. The crowdsourcing contest calls on people to submit ideas that would increase the recognition and value of career professionals in Canada. The Challenge resulted in 80 ideas, 139 comments and 4,500+ votes cast. 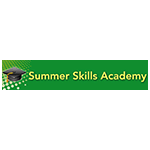 The first CERIC Summer Skills Academy is held, consisting of two days of intensive skill-building seminars in career development and leadership. 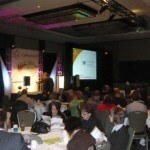 The event takes place in Toronto and nearly 100 practitioners and managers participate. Topics include Social Media, Mindfulness Based Stress Reduction, Job Development and Strategic Change & Innovation. 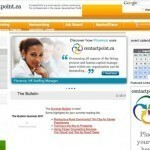 CERIC partners with the New Brunswick Career Development Action Group to jointly offer webinars. Webinars are open to career development professionals across the country. 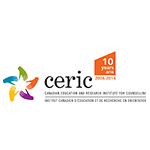 A year of anniversary celebrations begin for CERIC, marking 10 years as a national charitable organization, advancing education and research in the field of career development in Canada. Over the past decade, CERIC has maintained its vision of increasing the economic and social wealth of Canadians through high-quality, effective and accessible career development. Since that time, it has evolved to meet the changing needs of Canada’s career development professionals, enabling and supporting thought leadership, knowledge and skill building, community collaboration and raising the profile of the field. 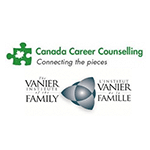 A CERIC-funded partnership project with Canada Career Counselling and the Vanier Institute of the Family will develop user-friendly career development resources for women on maternity leave and their employers. Cannexus moves to the newer, larger Ottawa Convention Centre to keep pace with the growth of the conference. Close to 750 career professionals attend. 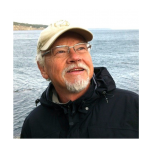 Highlights include keynotes from Rich Feller, Valerie Pringle, Jacques Demers and Stephen Lewis. A panel of Canadian leaders, including the Deputy Minister of Employment and Social Development Canada, President of Carleton University and President & CEO of the Canadian Federation of Independent Business discuss Canada’s talent disconnect. 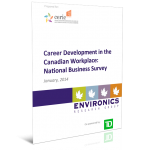 CERIC launches Canada’s first ever career development textbook at Cannexus14. 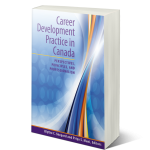 Career Development Practice in Canada: Perspectives, Principles, and Professionalism is designed to be used as a learning tool for students, a resource for educators and a reference for practitioners in the field. 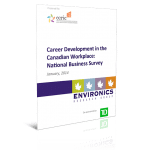 On behalf of CERIC, Environics Research Group conducts a telephone survey of 500 Canadian business leaders about the skills shortage and skills gaps, employee training and recruiting workers, as well as career management practices. 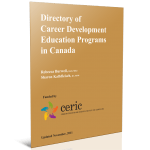 CERIC develops the Canadian Career Development Researcher Database to answer the question: “Who is doing what research in Canada”? The database brings this rich information together in one easy-to-use searchable online resource. 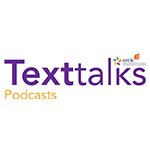 CERIC begins a series of monthly podcasts featuring interviews with Canadian thought leaders in career development who contributed to its new career development textbook. A Meta-Analysis Approach to Understanding Career Development becomes the 25th literature search that CERIC compiles. Others include Military Transition to Civilian Careers, Older Workers, and Trends in E-counselling. 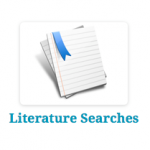 The literature searches feature comprehensive listings of key research and articles in career development. 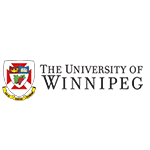 CERIC and the Social Sciences and Humanities Research Council (SSHRC) fund a University of Winnipeg project that will study how to help refugee youth navigate school and find meaningful careers. Results will be shared with educators and policymakers. The updated edition of the popular The Decade After High School is released at Cannexus15. Called Career Crafting the Decade After High School, the new CERIC-funded book from Cathy Campbell and Peggy Dutton dispels the “Career Myth” that those in their late teens and 20s should follow a linear route from school to work and provides practical techniques professionals can use in counselling youth. CERIC hosts a milestone Cannexus15 with its highest attendance to date, bringing together more than 770 delegates. The conference serves as a wrap-up of CERIC’s 10th anniversary celebrations and introduces Spark!, a special series of TED-style talks to “spark” people to think differently about their work. CERIC publishes the findings of a Navigator survey of 1,500 adult Canadians and how they use career and employment counselling services. The survey finds that 53% of those who say they have a career have sought advice from a career professional while that number is 38% for those who say they have a job and 46% for students.